Planning a moment as special as a wedding proposal is the best way to ensure a beautiful and unique moment that isn't just a ring and a knee on the floor. All the little details make a difference and can contribute to an epic moment in your lives! After we photographed more than 20 wedding proposals in the last few years, I thought I could give you some advice on this topic. I don't want to create an exhaustive guide for the perfect wedding proposal, because, as we all know, it doesn't exists! There is yours, and may it be as you dreamed of! First of all, you must realize that you are tuned in and that, although unexpected (the proposal), a wedding is something that is part of your plans, in the short, medium or long term and that the only answer that may result from the question "Will you marry me?" is a "Yes." In this topic only you will know if it is with each other that you want to spend the rest of your lives, if you can reconcile your differences and if it is the right time to ask the question. This is a sensitive subject. We have already photographed proposals that did not even had a ring. By being a symbolic object and complying with tradition, most proposals have an associated ring as well as a knee on the floor. But there are also proposals in which, despite the emotions, there is only a beautiful declaration of love, some vows read out loud and, for us, the words spoken at this moment become almost like the first vows exchanged between you two and can steal the protagonism of any ring. But if your final option is to offer a ring then the best is for you to create allies between the friends and family of your future bride or groom to reconcile tastes, dreams and, of course, the size! We always meet with our future bride or groom (yes, we've already had proposals from the feminine side of the relationship) to plan the moment. This meeting can be in person or via Skype! It is important for us to be in tune with what you imagine and to help you in all we can to make it even more special. It is important to plan from the way we can integrate ourselves into the proposal to the place, to create a B plan just in case, among other details that will allow you to be more relaxed, confident and enjoy the best of the moment! I'll sound suspicious, but to me, it doesn't make sense otherwise. I have friends who didn't record the moment and it got lost forever among loose and diffused images from so many other good memories. I must say that so many times the nerves and excitement speak louder that many brides don't even remember how everything unfolded, nor noticed the small details like the incredible view or the musician hired to play your music right by your side. So, despite realizing that you may not choose to have a photographer, I must reinforce that we do not interfere with your special moment and that this is the only way to make it last forever! 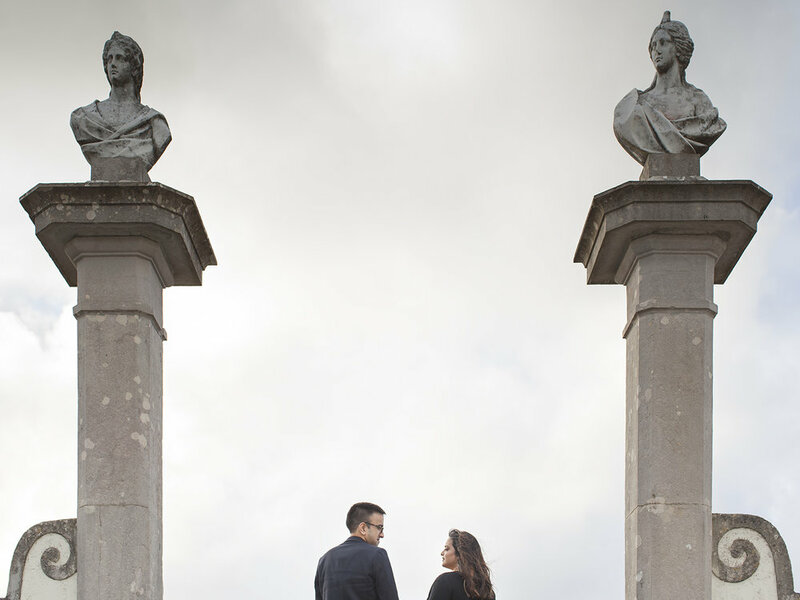 It's important for you to define a place where to propose and this choice can reside in so many factors that become almost as difficult as choosing a place for a photo shoot. The ideal will always be to choose a more quiet place that allows you the intimacy of declaring your love without a huge audience, a place that is special to you, that has something to do with you or your history, or that you both enjoy deeply. 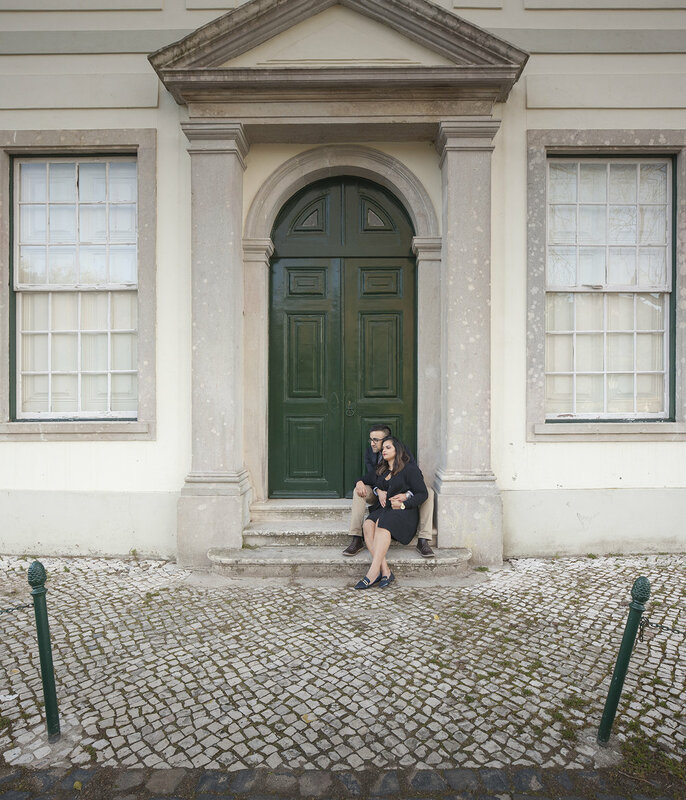 We have already made wedding proposals in popular places such as Cais das Colunas or the Mirador de São Pedro de Alcântara and, of course, we always have a lot of people there. It is not impossible, at all, to capture the moment, but it is always more difficult to ensure that no one stands between us and that only you two appear in the pictures. The time of day can also give your moment a special shine. We always photograph at sunrise or sunset and if at sunrise the probability of finding the places empty is greater, the truth is that many people do not have the best mood when they wake up. So it's at sunset that we capture the vast majority of our wedding proposals! We can capture your moment in so many different ways: we can be in place at the agreed time, waiting for you in a strategic place and photograph the moment without interfering; you can ask us to take a picture with your mobile phone and then we can position you the best way possible in the best framing; we can plan a photo shoot and then the proposal can be made in the middle of the session... well, there are so many possibilities and we are always open to your ideas and suggestions. We always work together to make it even more special! In order for the moment not to be just a wedding proposal, all the wedding proposals we make include a post-session. That is, after the proposal, we take a walk around the area to capture some moments of just the two of you in this new stage in which you are no longer boyfriend and girlfriend and become bride and groom! After all, it will be your first pictures and memories together after the proposal and we love to capture these moments of love and passion. Basically, planning and preparing for a wedding proposal can be super simple, but we know that the best things in life require time, dedication and affection to become the best moments of your lives. We look forward to tell this important chapter in your story and this incredible moment of your lives! If you have doubts or need our help, don't hesitate to contact us! 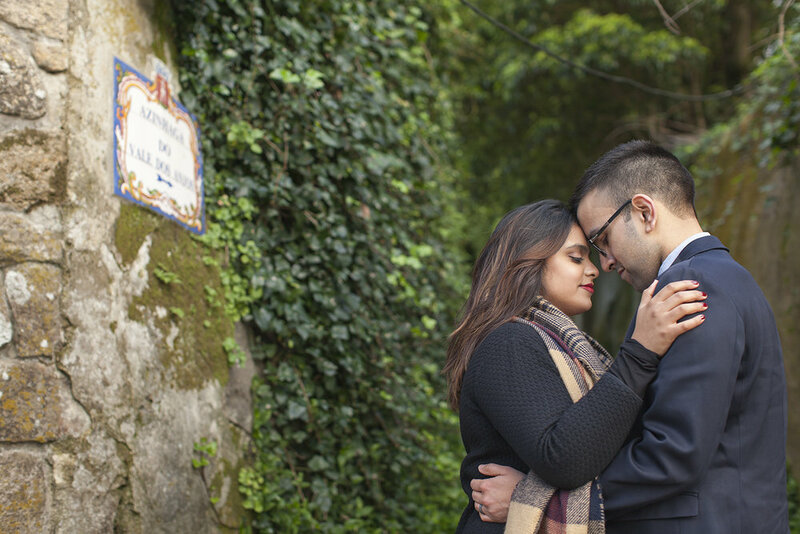 Along with this post, we could not miss sharing with you the wedding proposal of Niquita and Kishan, photographed last year for Flytographer. It was a unique and special moment when the vows written by Kishan were not left out, a true declaration of love that enraptured hearts.